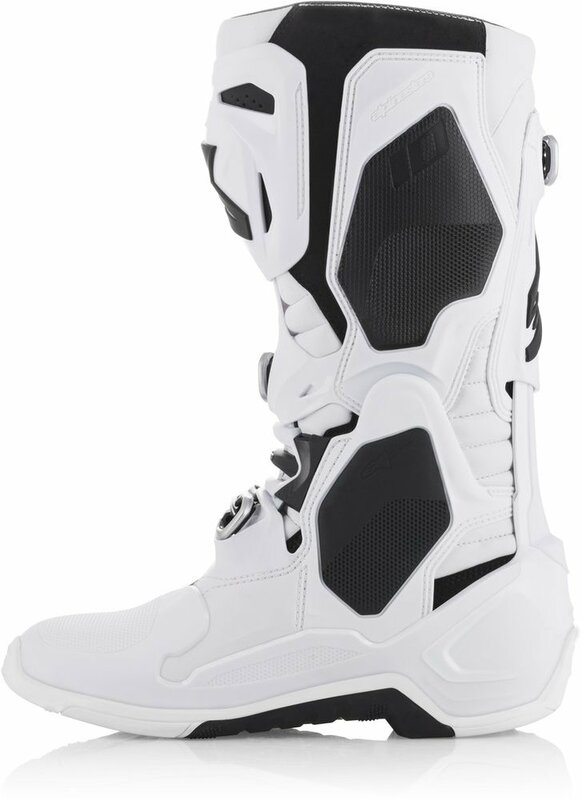 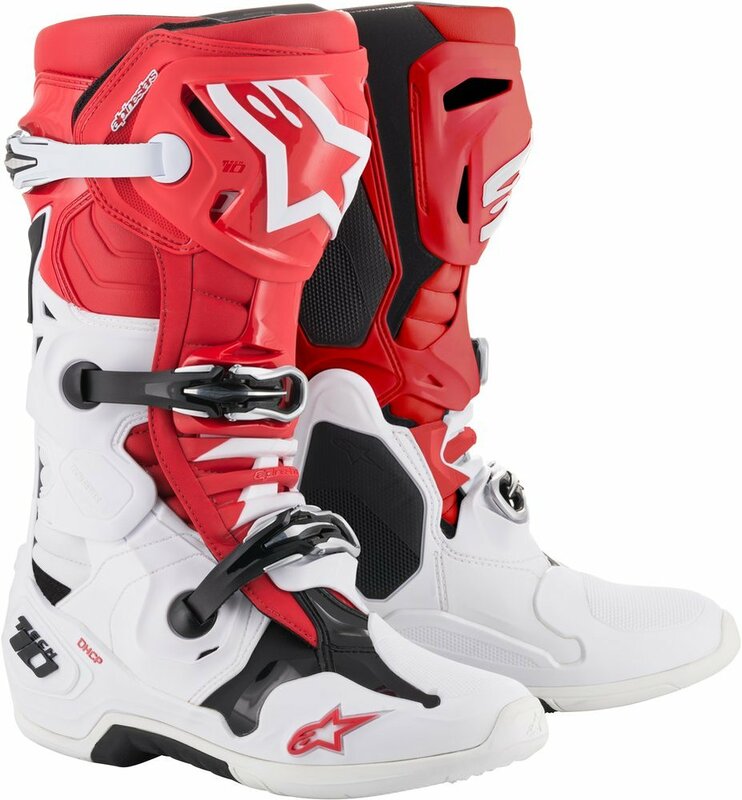 The Tech 10 has set the standard for motocross boot performance and protection for well over a decade and for summer 2018, the completely redesigned Tech 10 boot raises the performance envelope even further. 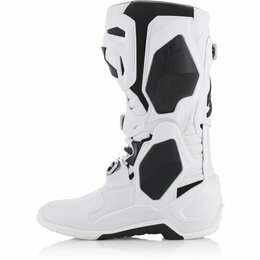 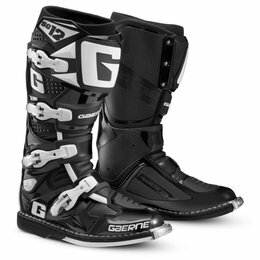 Perfection through innovation - while maintaining the iconic Tech 10 look, the new boot represents an entirely new approach - improving its ability to give a rider the ultimate in feel, comfort, and safety. 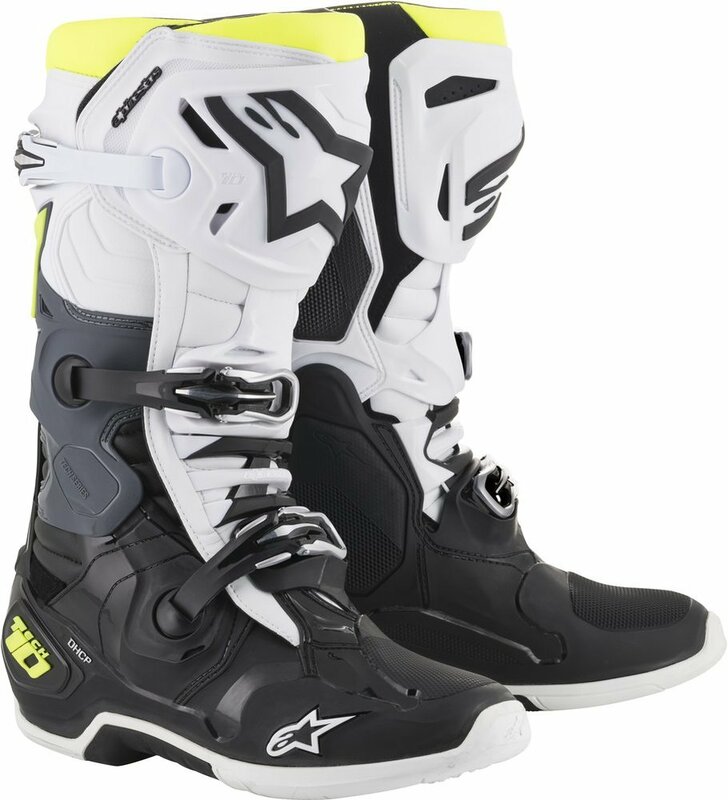 The Tech 10's redesign has been guided by three priorities as the Alpinestars technical footwear development team looked to improve overall functionality, performance and safety, decrease weight, and reduce material volume. 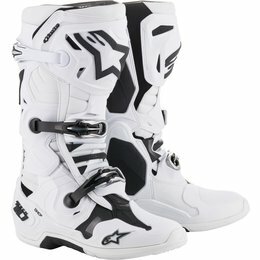 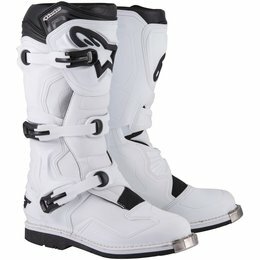 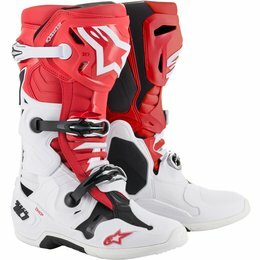 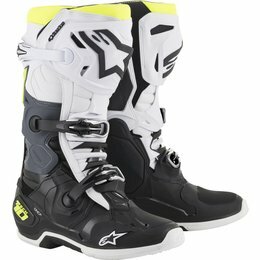 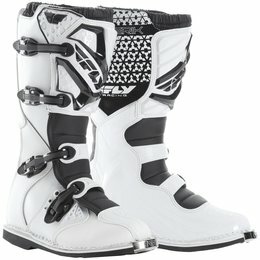 Maximizing these priorities is the key achievement of the new Tech 10 and the result is an all-new boot with a greater range of movement and flexibility while offering better control over the flexion and torsion forces that significantly improve boot performance, giving the rider greater confidence and protection. 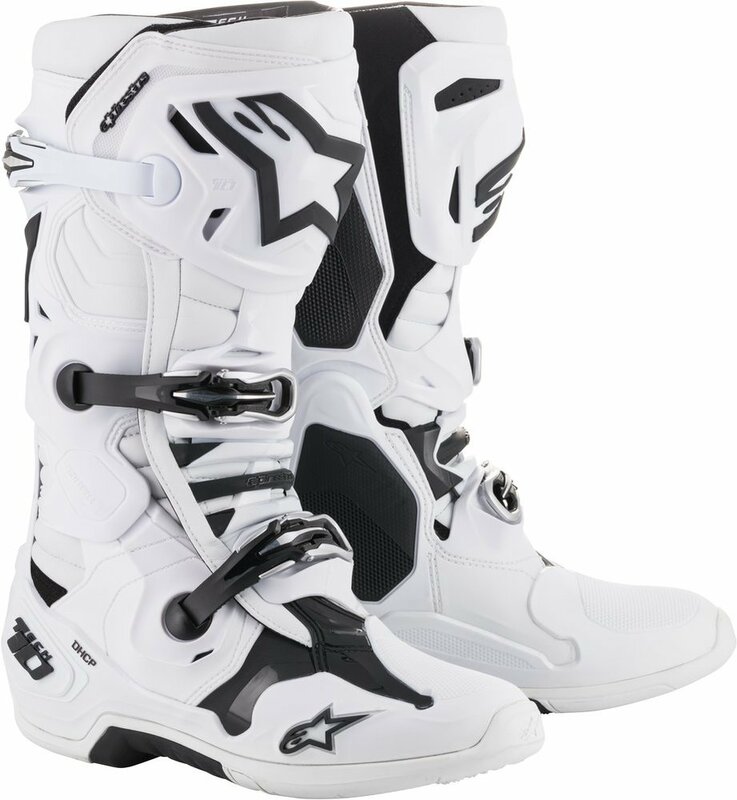 Enhanced Functionality, Performance, and Safety The Tech 10's comfort is legendary and a key feature in making the boot a pleasure to wear in all conditions. 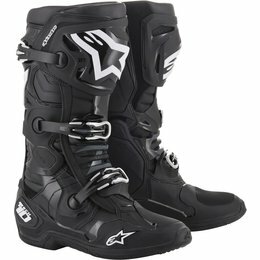 A key objective was maintaining the boot's feel while enhancing its performance, functionality, and safety. 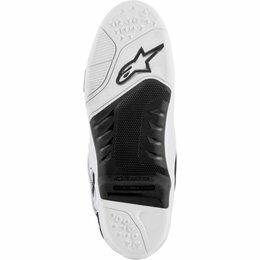 The most significant upgrades to the Tech 10 performance are unique technologies: The Frontal Flexion Control Frame, the Asymmetrical Dual-Pivot Arms, the patented Dynamic Heel Compression Protection Shock Absorber which is integrated into a redesigned foot shell, and the slimmer, more streamlined outsole. 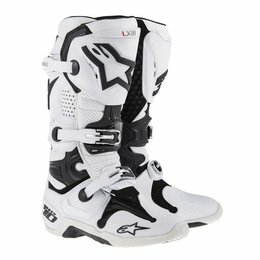 Reduced Weight The Tech 10 is lighter, a result of Alpinestars technicians studying all the boot components and their connections - how the boot comes together. 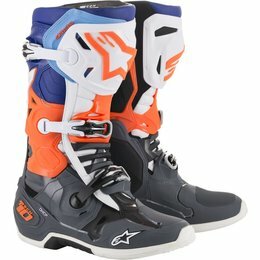 A redesign of every single one of those components has been undertaken to reduce volume and weight. 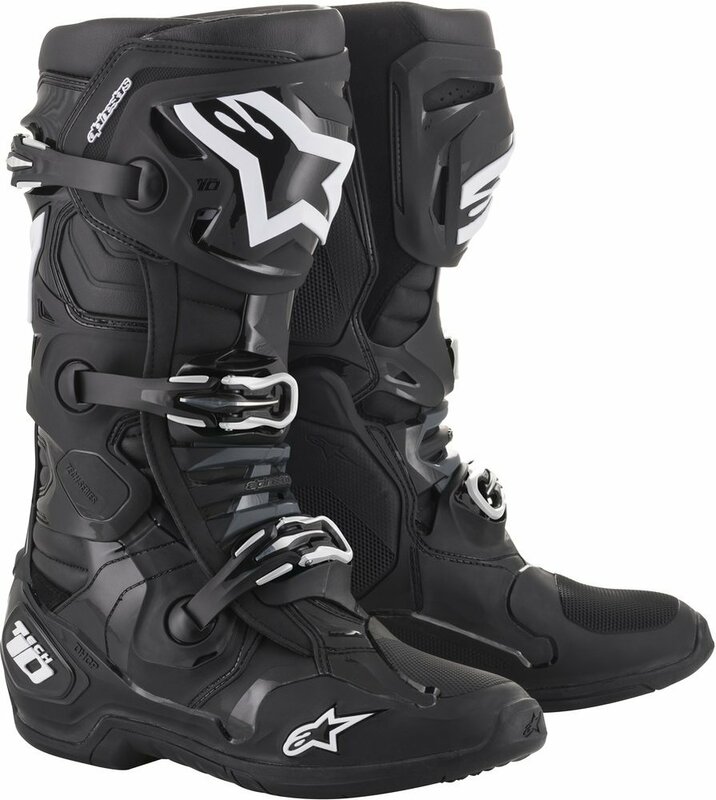 New material composites have been created that are lighter in weight and more durable to ensure they hold up to the rigors of off-road riding. 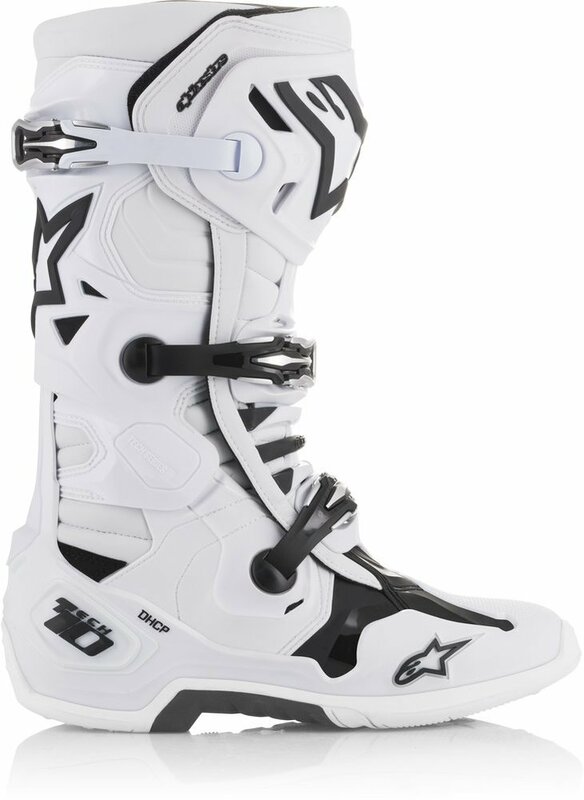 The new, cold-forged, aluminum buckles are a result with an easier-to-operate, more durable and self-aligning closure that offer a positive hold across the upper surfaces of the boot. 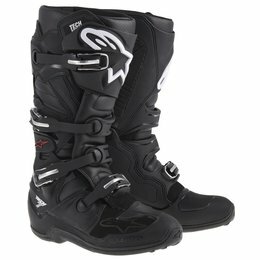 The result has yielded over 400 grams (almost 1 lb) in weight reduction for the new Tech 10. 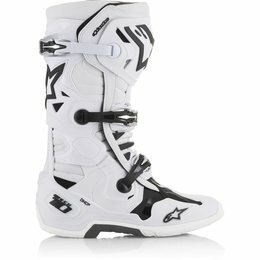 Reduced Material Volume The design also reduces the Tech 10's profile and physical size. 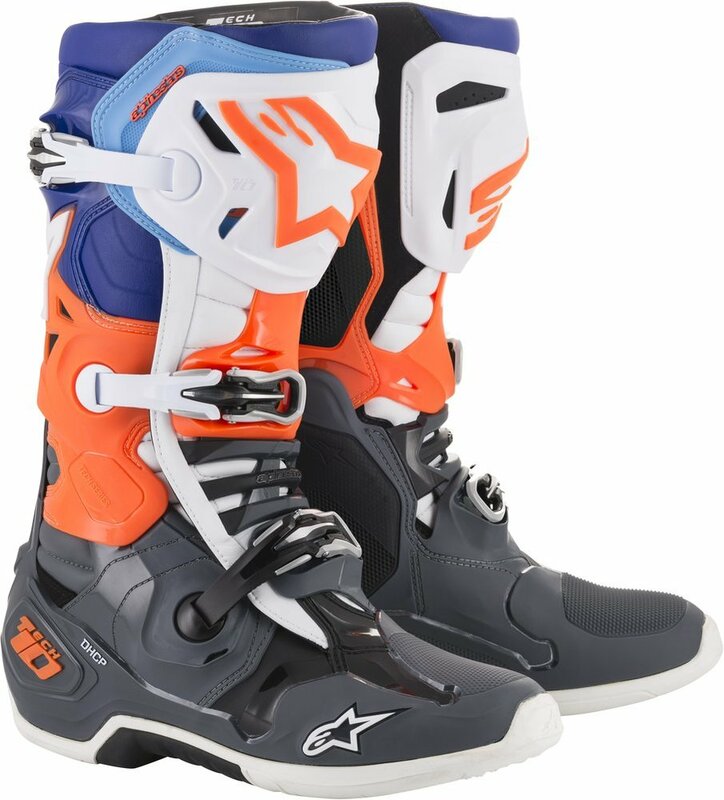 It is more streamlined with newer, lighter, more durable composite materials, and a more integrated approach to the construction of the components which dynamically enhance the chassis of the boot and utilize more advanced bonding processes.